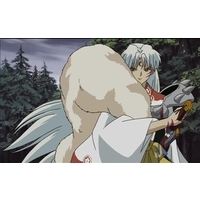 Sesshomaru is a character from the anime Inuyasha. 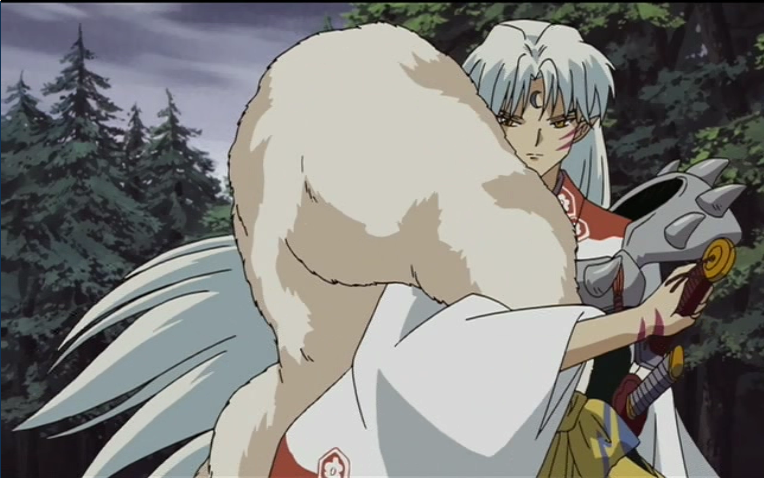 Sesshōmaru (殺生丸, Sesshōmaru) feared throughout the world as "Lord Sesshōmaru, Demon Lord of the Western Lands," is Inuyasha's half-brother and the successor to the Great Dog Demon. Unlike many other demons, he has no interest in possessing even one shard of the Jewel of Four Souls to enhance his powers, since he is already supremely confident of his own strength and he only relies on his sword to aid him. 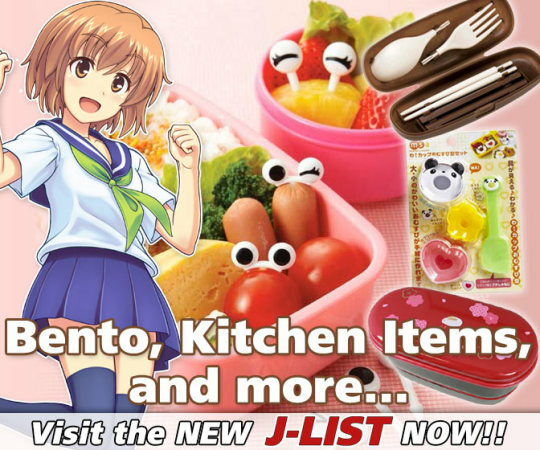 Accompanying him is a young human girl named Rin, and a demon by the name Jaken. After Naraku attempts to manipulate him by using Rin as a hostage, Sesshomaru becomes determined to destroy Naraku.